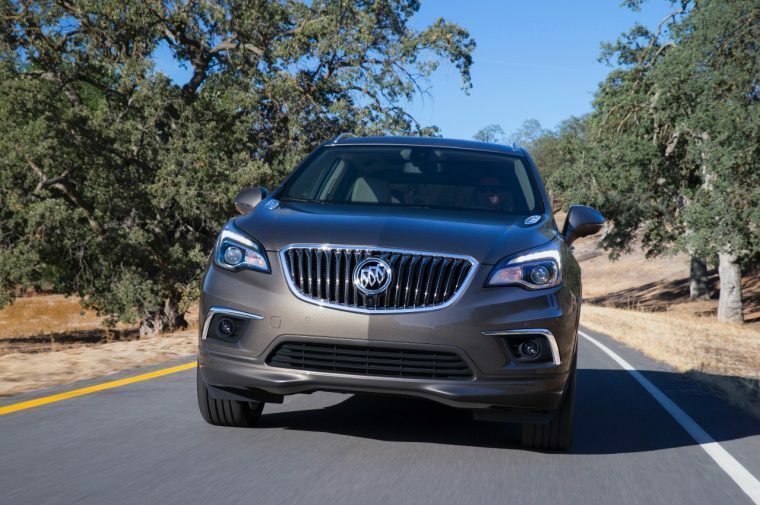 Buick hasn’t gone out of its way to say much about the Envision crossover since announcing in December that it was indeed destined for the United States. This could be the result of some backlash against the fact that the Envision will be a Chinese import—even if importing the Envision from the country in which it is already a proven best-seller is just economical—and of the fact that once a shiny new Buick crossover hits the market, people are probably going to just start gobbling it up. Given the minute amount of attention it’s been given, it’s easy to have missed that Buick outlined pricing and trims for both the 2016 and 2017 model years. No announcement, no press release. Just a fancy product page giving all the details on how much you’ll pay and what you’ll get, accompanied by the constant ambience of ocean waves crashing into the shore. For the 2016 model year, the Envision will only be offered in two trims: Premium I and Premium II, with the former starting at $42,995 and the latter starting at $45,635. Both models will feature: driver memory settings for seats and mirrors, leather-appointed seats, heated steering wheel and rear seats, tri-zone auto climate control, 8-inch driver information center, Bose premium audio, 19-inch premium Manoogian Silver Finish wheels, Side Blind Zone Alert with Lane Change Alert, Forward Collision Alert, Safety Alert Seat, Rear Cross Traffic Alert, and Front and Rear Park Assist. The Premium II model adds cooled front seats, driver seat thigh support, HID headlamps with auto high beam, head-up display, Automatic Parking Assist, and IntelliLink with Navigation. The 2017 model year Envision adds three additional trims: Envision, Convenience, and Leather. These three trims will come standard with the 2.5-liter four-cylinder engine and front-wheel drive, and both Premium trims come standard with the 2.-liter turbo-four and Active Twin-Clutch All-Wheel Drive (for both the 2016 and 2017 model years). The base model starts at $34,990, Convenience trim starts at $36,795, Leather trim starts at $38,645, Premium I starts at $43,245, and Premium II starts at $45,885. The 2016 Envision goes on sale this summer, and the 2017 Envision will arrive in the fall.